The Rice University baseball team will embark on a 12-day trip to Cuba beginning Nov. 23. Los Buhos (The Owls) will play five games against Cuban Baseball Federation teams, attend classes and explore Cuba’s culture. The trip, which was announced at an Aug. 11 news conference, has been months in the making. 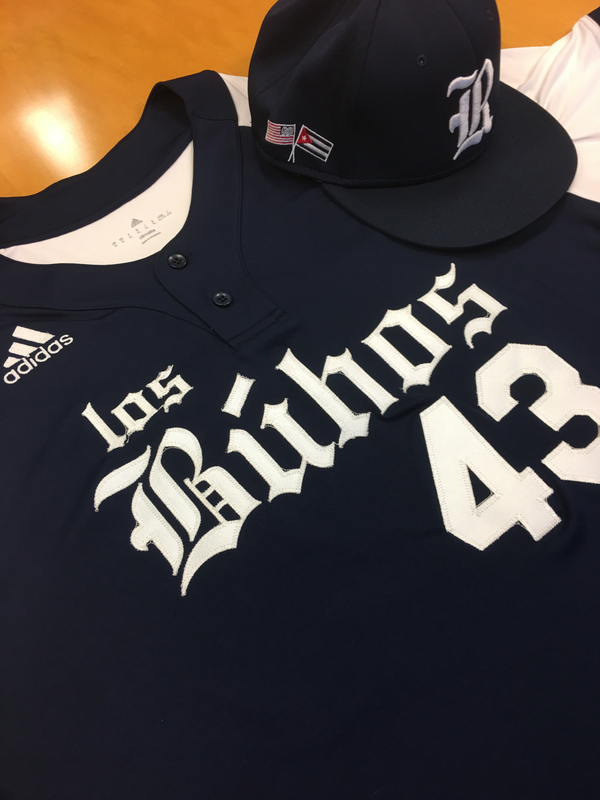 The Owls will wear a special patch with the U.S. and Cuban flags on their hats, along with specially made “Los Buhos” jersey tops, as they explore western Cuba. They will play Artemisa at Estadio 26 de Julio (July 26 Stadium) in Artemisa, the Mayabeque Huracanes in San José de las Lajas, Pinar del Rio Vegueros in Pinar del Rio, Cienfuegos Elefantes in Cienfuegos and Los Industriales in Havana at Cuba’s largest stadium, Estadio Latinoamericano (Latin American Stadium), which seats 55,000 fans. For two Owls, this will be their second time experiencing baseball in Cuba. Last summer Rice pitcher Glenn Otto was on the U.S. Collegiate National Team that played and won a five-game series against the Cuban National Team. For Rice head coach Wayne Graham, it’s been a little while longer since he played in Cuba. In 1960, Graham was playing AAA ball for Buffalo, N.Y., when the team visited and played against the Havana Sugar Kings. Graham said that about 18 players from that Sugar Kings team eventually played professional baseball on the AAA level in the United States. “Cubans love baseball, and they have the weather for it,” Graham said. “Castro liked baseball, so they sanctioned it. He promoted and loved it, and the people love it. It stayed as ‘the’ sport in Cuba. “Every town in Cuba that has a population of more than 100,000 has a big stadium, every one of them,” he said. With the recent lifting of certain U.S. sanctions on Cuba, baseball visits have become doable for the time being. 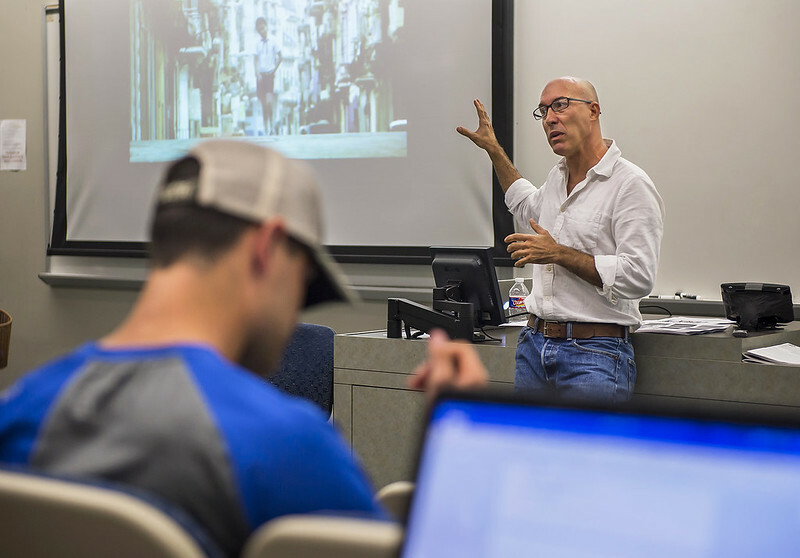 Beginning at the start of the fall semester, all members of the baseball team registered for and started attending a class on trends in contemporary Cuba taught by Luis Duno-Gottberg, associate professor and chair of Spanish, Portuguese and Latin American studies. If the Flickr player does not open for you, please go here. In Cuba, the team will have classroom sessions with talks from guest speakers and discussions of Cuban music, art and architecture, along with a class with the Cuban Baseball Federation. But Duno-Gottberg said, “When we get to Cuba, I want the team to understand beyond the traditional classroom setting and experience that Havana itself will be the classroom,” he said. The Owls will have plenty to experience outside of baseball. The trip includes a visit to Morro Castle and the Fort of Saint Charles, the Museum of the Revolution, the Museum of Fine Arts, an architectural walking tour of Old Havana, lunch at the historic Hotel Nacional and a walking tour and tourism class in Varadero in Cuba’s Matanzas Province. Barring technical difficulties, the Owls trip will be chronicled daily online at riceowls.com/OwlsInCuba. Fans can also follow the team on Twitter at #LosBuhos.